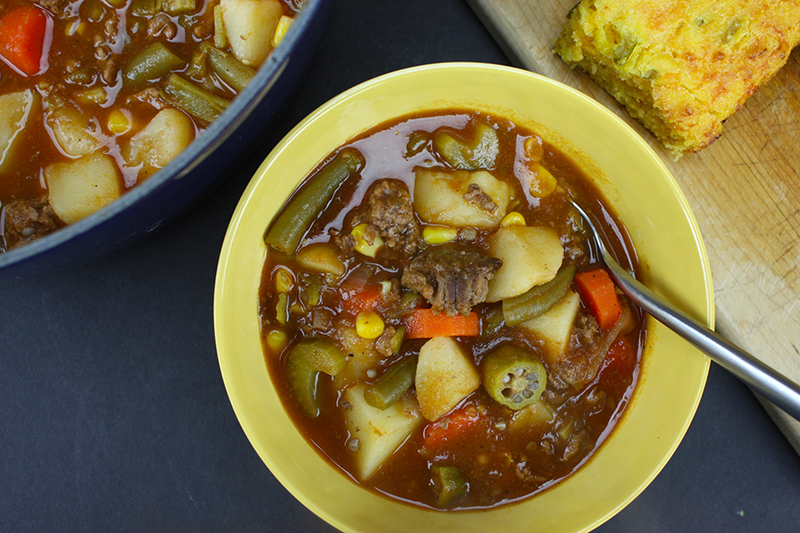 Vegetable beef soup is one of those super easy and budget-friendly recipes. So hearty, comforting and yet healthy. You can’t go wrong, right? It’s really as easy as you can get. 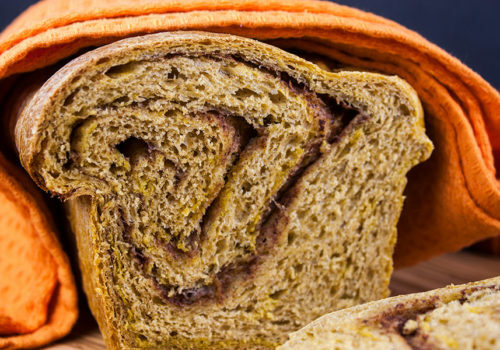 Make a batch of our Cheddar Jalapeno Cornbread and everyone will be warm and happy. 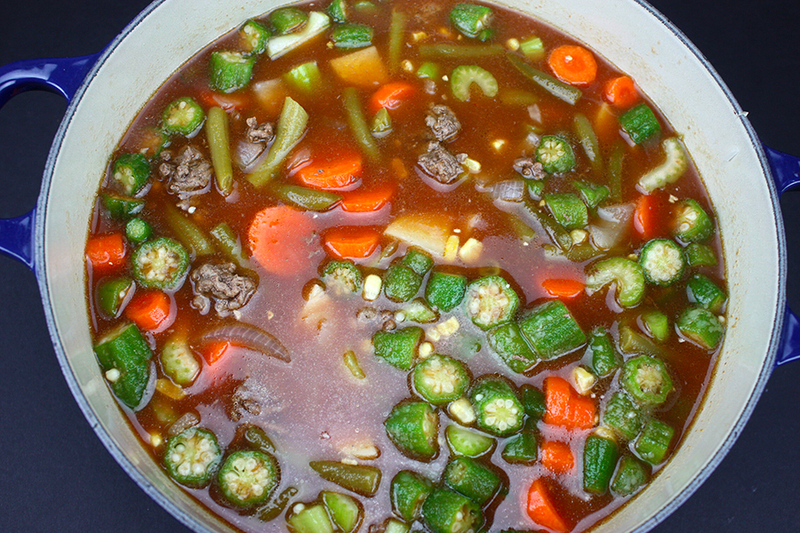 All you do is brown the ground beef, chop the veggies and throw it all in a large pot. Bring to a boil, reduce heat and simmer for about 30 to 45 minutes. Stupid easy, right? This is one of those recipes you can use those vegetables that are lying around in your fridge or freezer. If you are like me you have half bags of frozen corn, okra and peas in your freezer. 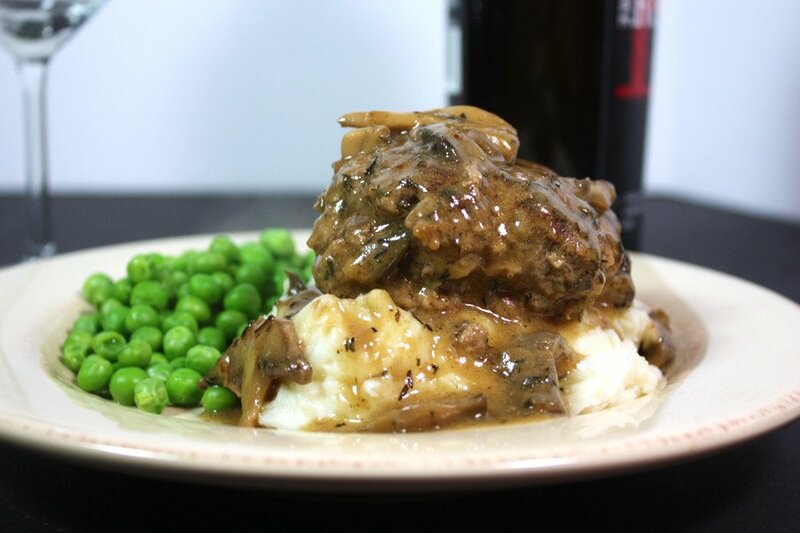 I didn’t happen to have any field peas this time but you can mix and match to your taste. Some people don’t like okra. 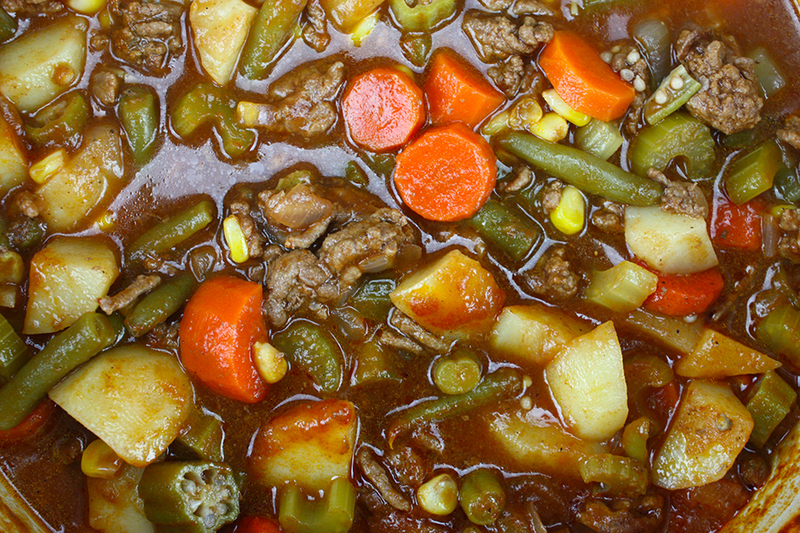 I think it adds a great flavor and it helps to thicken the soup. 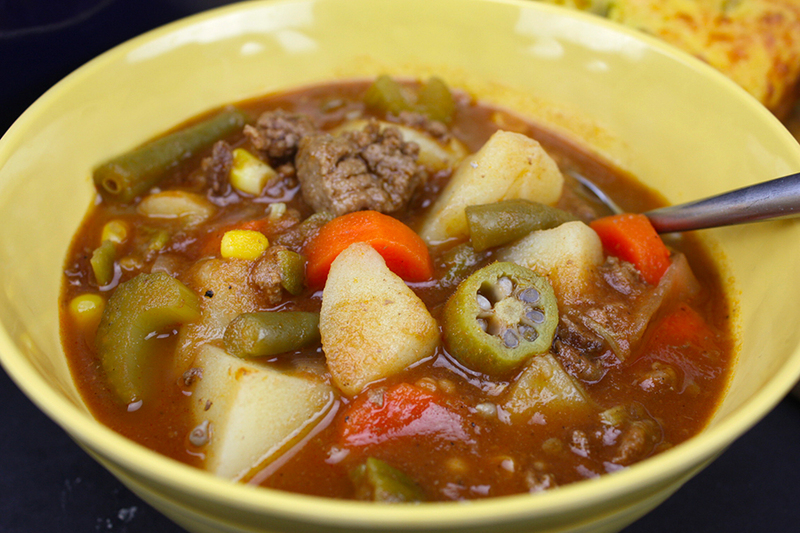 Serve and enjoy the warmth and comfort of this amazingly flavorful soup. 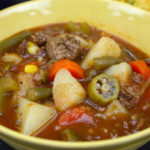 Vegetable Beef Soup - So easy, hearty, healthy and comforting! 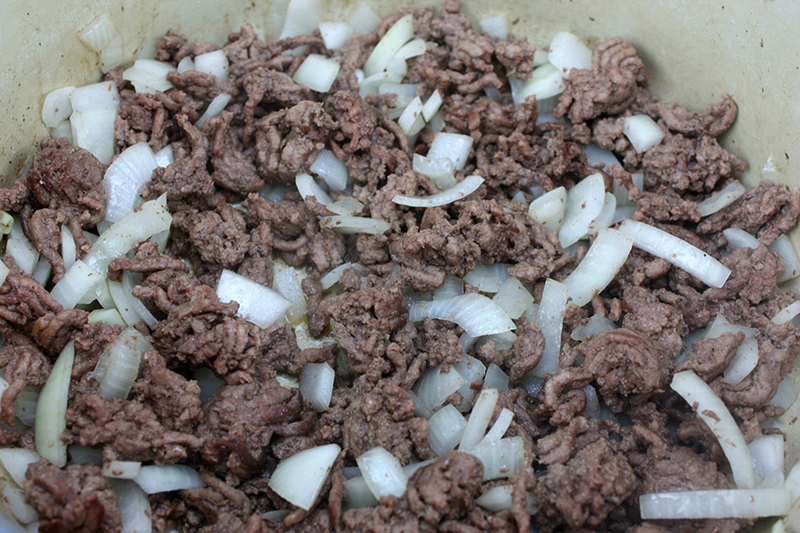 In a large dutch oven brown the ground beef. Drain if needed. Add onions and saute for about 3 minutes. Add remaining ingredients, bring to a boil, then reduce the heat and simmer for about 35-45 minutes. 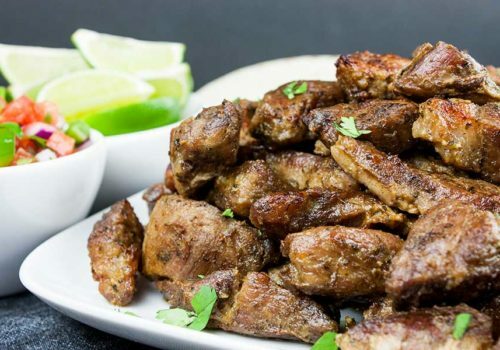 This is a great recipe to mix in what you have in the fridge. Thanks for sharing it on Merry Monday. Pinned.